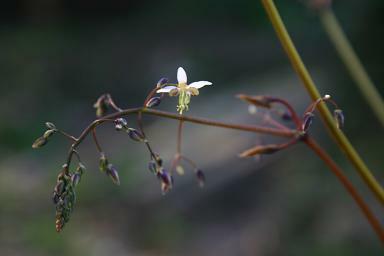 Sadly, this has turned out not to be Epimedium membranaceum. 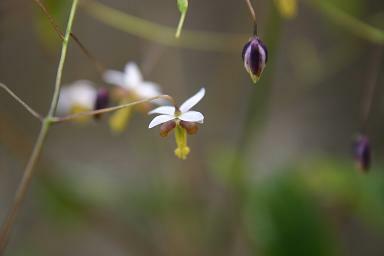 On the plus side, I think it is Epimedium pubescens ssp cavalieri. E.membranaceum has large yellow flowers, close to E.lishihchenii in appearance. 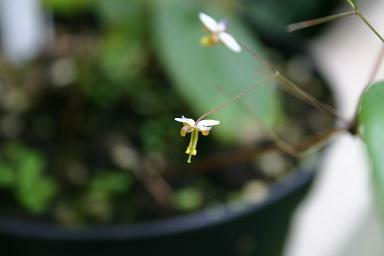 There are two subspecies of E.pubescens, this one has spikes of flowers that are up to 12cm wide and has leaflets that are nearly hairless on the undersides.